In all this snow it’s hard to tell, but gardening season is just around the corner and North City Water District and the Saving Water Partnership are pleased to be offering an early gardening class in February to help you get growing. Additional classes are scheduled in April and September so stay tuned for updates. We hope to see you on February 27th! In the Pacific Northwest, we often go through periods of “too much rain,” alternated with extremely dry summer months. Come learn how to plant a rain garden in your own yard, using native plants. By creating a beautiful, low-maintenance and drought-tolerant landscape feature, you can help protect our waters and create habitat for beneficial wildlife. 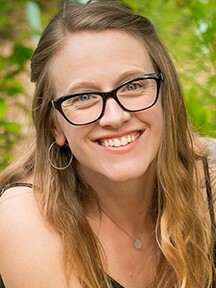 Jessi Bloom is a best-selling author, award-winning ecological landscape designer, and speaker. She owns N.W. Bloom EcoLogical Landscapes, based near Seattle, which is known as an innovator and leader in the field of permaculture, sustainable landscape design, construction and land management. Jessi’s work has been recognized by government agencies and industry organizations, and makes headlines in national media. She lives near Seattle with her two sons on their permaculture homestead, which is full of functional gardens and rescue animals. Learn more about Jessi on her website. Class is free, but you must register to attend. Send an email to theresah@northcitywater.org or call our main office at 206-362-8100.